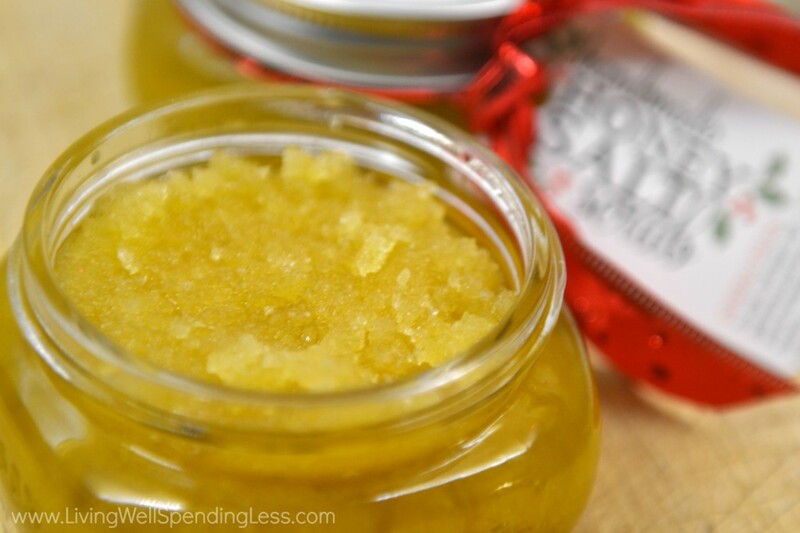 I first made this simple honey salt scrub about three years ago during our first ever 31 Days of Living Well & Spending Zero challenge. I loved it so much that I ended up making a huge bath and giving it away to all my friends and family that year. They have been asking for more ever since! Step 1: Whisk together honey & olive oil. Step 2: Slowly mix in salt. 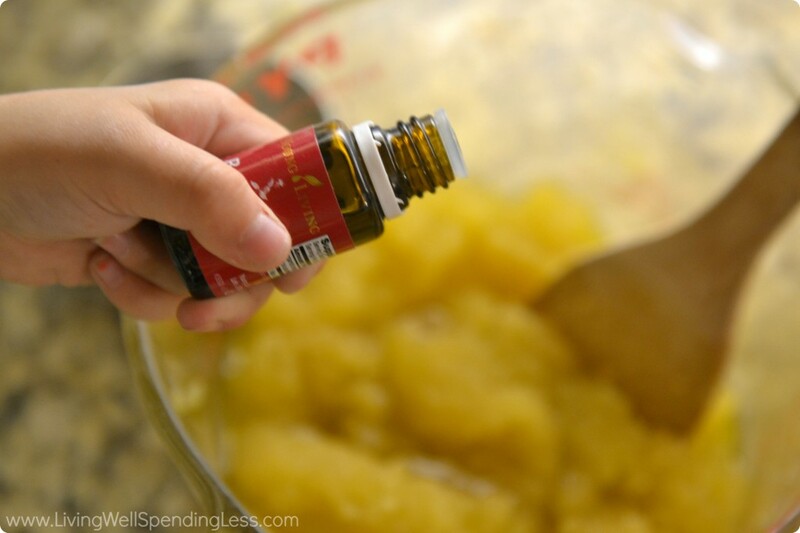 Step 3: Add essential oil and mix well. Step 4: Spoon mixture into wide mouth mason jar or container. Add a pretty tag to give as a gift. 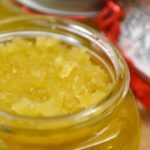 This homemade salt scrub is the perfect gift for teachers, babysitters, neighbors, friends, mail carrier. Okay it's the perfect gift for everyone! 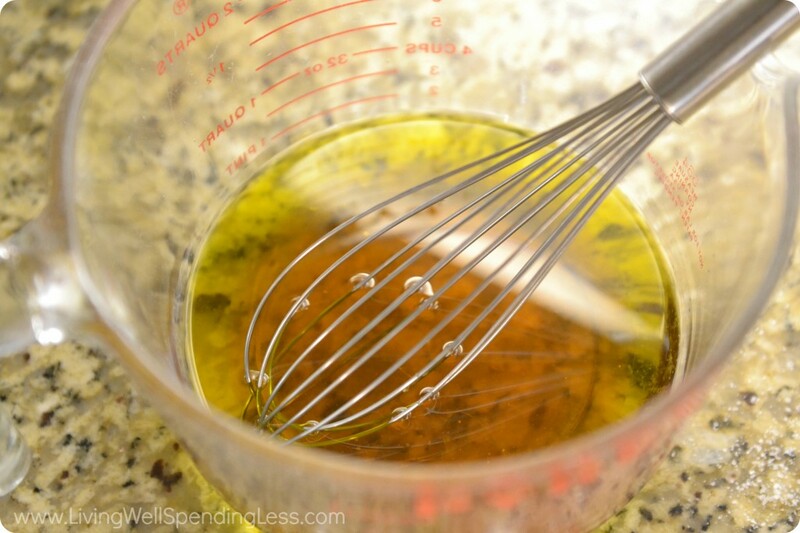 Whisk together honey & olive oil. Spoon mixture into wide mouth mason jar or container. Add a pretty tag to give as a gift. Thank you for sharing this recipe! I cannot wait to make this for myself AND my daughter! (plus friends). You have added much to my life in such a wonderful positive way! I LOVE making homemade scrubs. I have never tried a recipe like this so I am excited to try it. One year I gave these away as gifts and it was perfect. I love that you provided a gift tag to go along with it. That makes it even easier. Thank you! You’re welcome Shambray! Let me know how it compares to your other favorite recipes! I had a similar issue making a double batch. The honey and the salt decided to be BFFs and shut out the oil entirely. I tried using it as is, on myself, but the solids just balled up. Definitely not suitable for gift-giving, which really disappoints me. I’m debating with myself whether to waste more ingredients trying a smaller batch, or just cut my losses. It’s left me pretty gun shy of trying the bath bomb recipe, which was on my agenda next. I had the exact same problem… I too doubled the recipe with the same results as you had Melanie. I am feeling the same way about debating on trying a smaller bath… 🙁 I planned on giving them as gives as well… I think I may try again and hope the results are different. I had issue with it being too much liquid but balling up and hard to scrub. Ended up using it once and discarding. I was curious… Where did you purchase your jars? Where did you find the jars you used? That’s an especially nice touch, adding the tags to the ones you give, and a printable here for us to use when we make this. Thanks! It’s nice that you’re doing this site. You have come up with many neat ideas. This is easy enough that kids can help make it for the teachers or aunts, or for themselves. A good way for them to see that they don’t need all those nasty chemicals. I have been using raw honey as a facial while cleaning or sitting on the computer. Just because this scrub has few ingredients doesn’t mean its “less” of a product. Less money, Less toxic, fun to customize . I found your site by chance, months back. The other day I was on pinterest and opened a pin and it led me to your site!! What a wonderful place to be. You’re full of ideas and that’s what makes your site so fun. I also made this and followed the directions exactly. 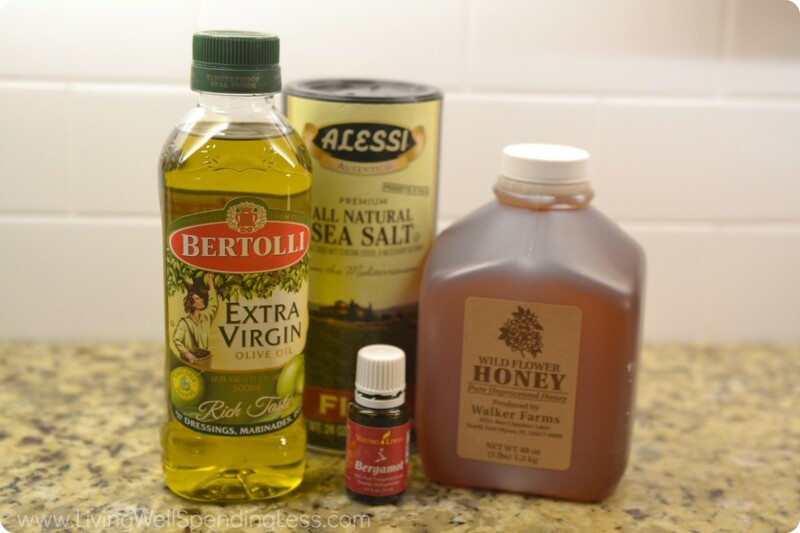 The honey and salt are stuck together solid and the oil is completely unabsorbed. Not sure why or if there is anything I can do to fix it before throwing it out? Thanks! Although I am sad that it didn’t work out for me, I am feeling much better to read that I am not the only one that it didn’t turn out correctly for… I thought it was me doing something wrong. I too am hoping it is salvageable at this point… I hope the author of this blog sees our “cry for help”… I did email her the other day and she said to just add more salt but that did not do any good. I haven’t made this yet, but try putting the mixture in the microwave for a few seconds and the mix again. Hi, I had the same results as above – honey seems to stick to salt and be more solid than i thought, and the olive oil is separate… am I missing something? is there a way to fix it? I love love love the sound of it so i hope it can be fixed! I just made this and had the same problem as several others with the salt and honey clumping and oil separating. Not being willing to call it a loss, I started heating the mixture 30 sec at a time in the microwave and whisking in between heating. I bet you could use a double boiler if you don’t like microwaves. After about 1.5 min total heating time, with vigorous whisking in between, I had a lovely mixture. Poured it into jars and see no separation after about an hour. Tried some of what was left in the bowl on my hands and it works great! With just a little tweaking, this seems like a great recipe! Is this for the face ? This amazing recipe has an expired day? or it could be use forever? I’m very happy if you could answer my question. Just a question, but can you use canola oil instead of olive oil? Or even baby oil? 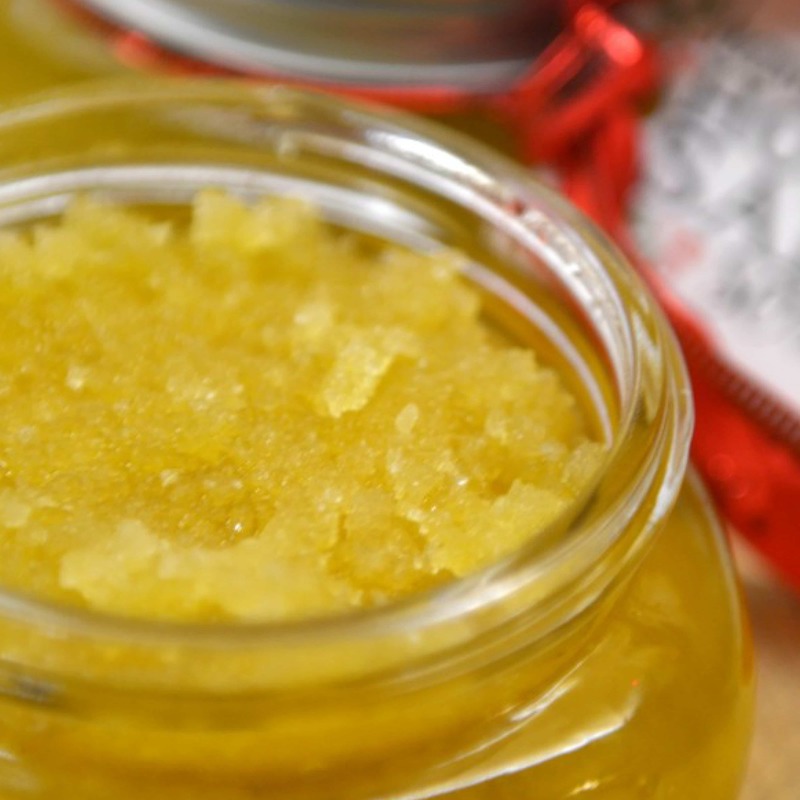 I just made the honey & salt scrub, it’s wonderful! 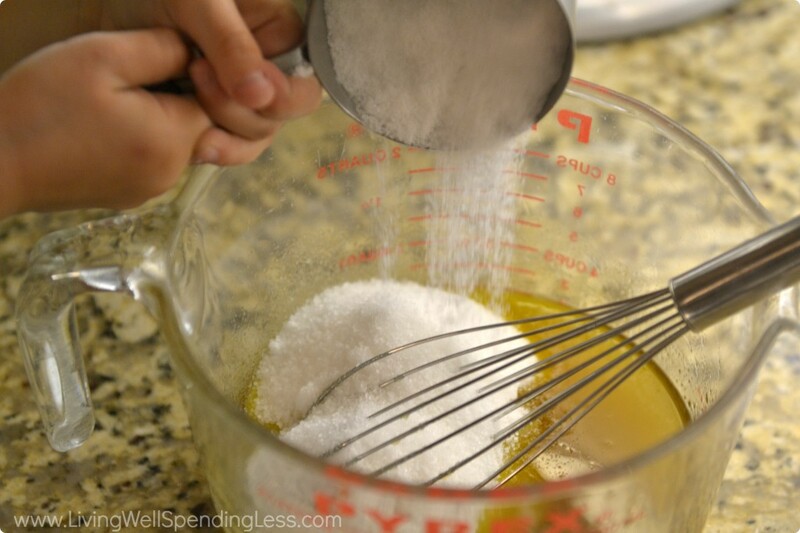 I think the key is to whisk the honey and oil really well then SLOWLY add the salt. Mine turned out great! I made one batch af a time. Thanks for the recipe. Please tell me what the texture of the honey scrub should feel like. Mine is like you feel the pieces of salt, is this correct or am I not mixing it long enough? I will wait for reply before making another recipe. Thank you. how many ounces does this recipe make? Can I substitute epsom salt for the sea salt? This sounds like something I really need for my face. Thank you so much. 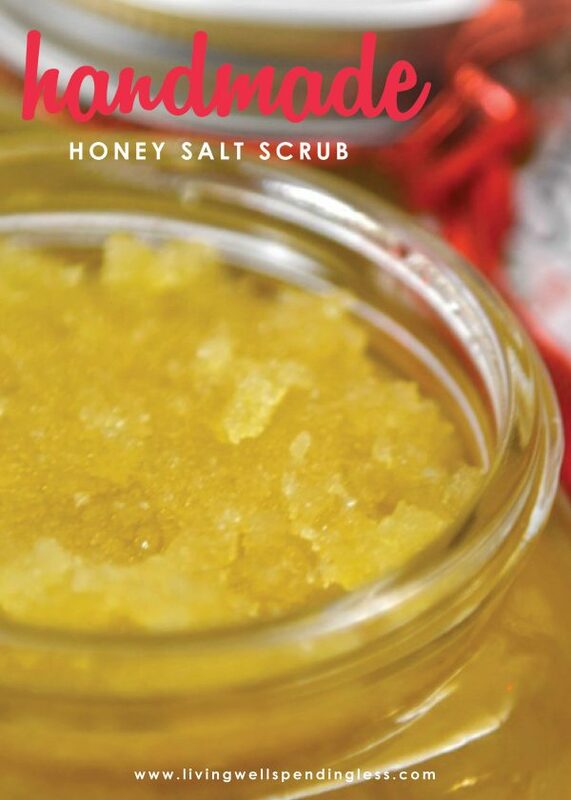 Can we use Himalayan pink salt for this scrub? Because I have Himalayan salt, so I want to know if I can use it instead of sea salt. I have read so much about the benefits of Himalayan salt and even purchased a Himalayan salt lamp form ittefaqco recently. This recipe sounds interesting. Thank you for sharing it. I use Himalayan salt for cooking so I am definitely going to try this scrub but with this salt. I have heard so much good about Himalayan salt, even I have purchased Himalayan salt lamp as well. You can visit the given website to know more about different types of salt products. It didn’t mix for me either unfortunately. I tried the tip to heat it up, mix it again, heat it up, mix it again. But the oil(s) still won’t go into the salt+honey mixture. Actually, by mixing it for that long (10min), the only thing that happened is the honey going into the oil and out of the salt for a bit. I’m using it by just mixing it a bit by hand before applying, and it works so that’s nice! I make a similar scrub with coconut oil. I love it. This scrub works amazingly well. But I find that the oil always separates to the top, which is kind of annoying (though not a deal-breaker). Any tips to keep this from happening? Thanks!